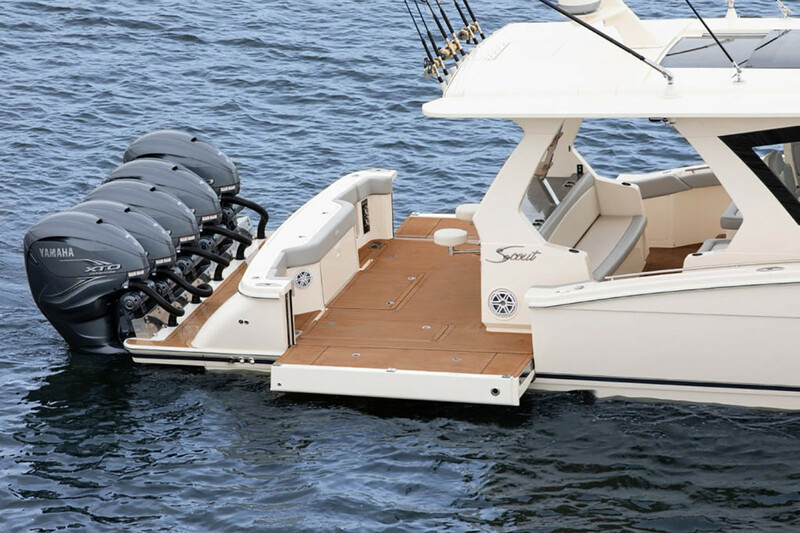 South Carolina builder Scout Boats is known for its high-performance center consoles from 25 to 42 feet. 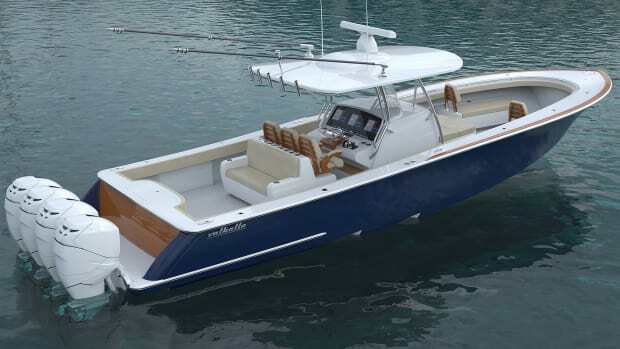 They are plush by fishboat standards, but with the introduction of the 530 LXF, Scout raised the bar exponentially. 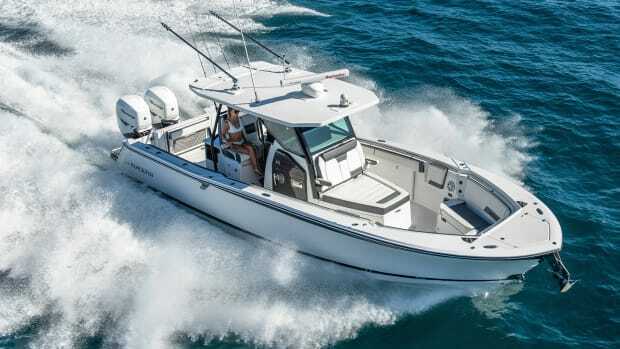 The 530 LXF is much more than a center console fishboat. 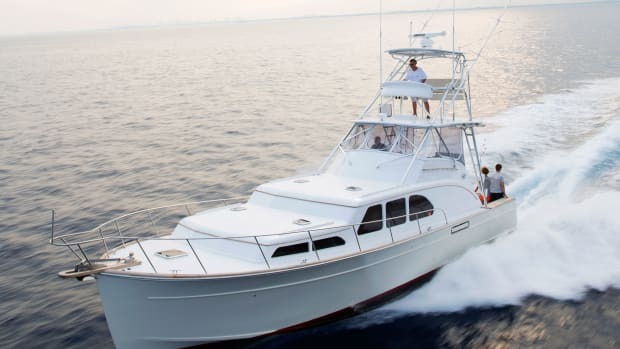 Its cabin-style helm and lounge area accommodates a dozen of your friends, and below deck you’ll find a large galley/lounge area (with a wine chiller), a spacious head, a shower and a well-appointed master stateroom. 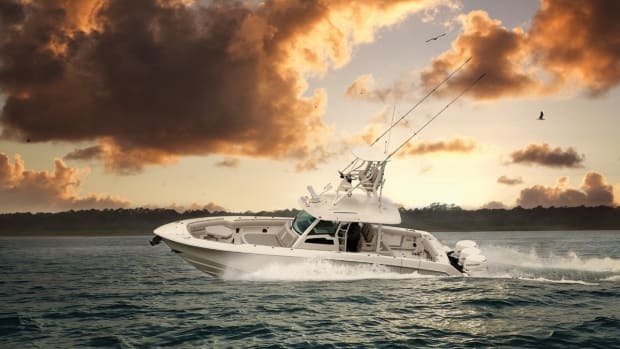 Powered by up to five outboards and rated to handle 2,700 horses, the 53-footer is a performer. 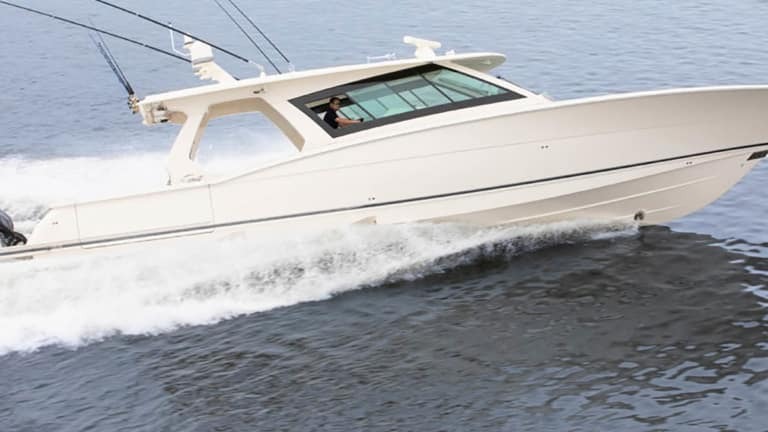 The twin-stepped hull is fast, efficient and comfortable at speed. 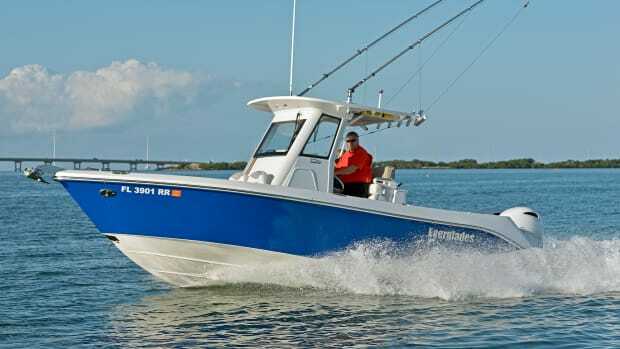 She cruises at 40 mph and tops out at 57 with quad 425-hp Yamaha XTO outboards. Imagine what another 1,000 ponies can do. The build incorporates extensive use of carbon-epoxy laminates to increase strength and reduce weight. 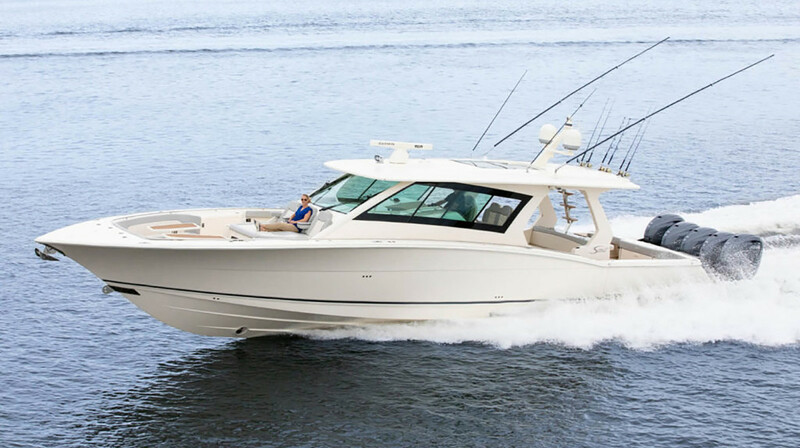 Topside seating includes a forward lounge area with twin tables and a sunpad that’s large enough for three people, plus mezzanine-style seating for six abaft the helm seats. 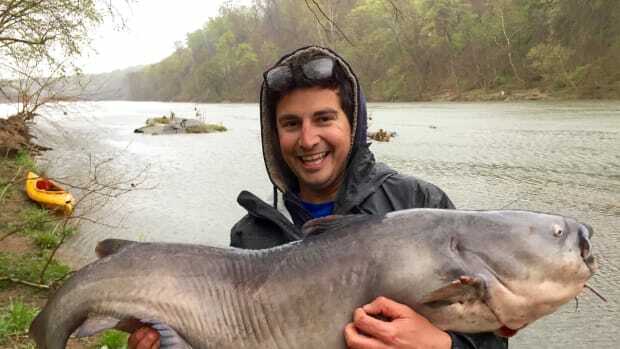 You can grill steaks or rig baits on the onyx-marble-topped cooking area. 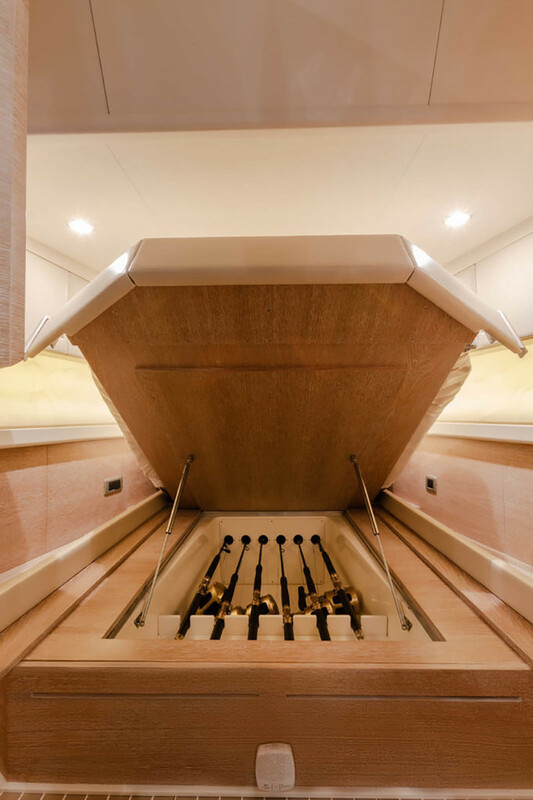 The port and starboard hull sides in the cockpit fold outward to create a “beach platform” with 17 feet, 6 inches of deck beam for entertaining, swimming or diving. The rocket launchers on the aft edge of the hardtop articulate for easy access to rods or to deploy the cockpit sun shade. 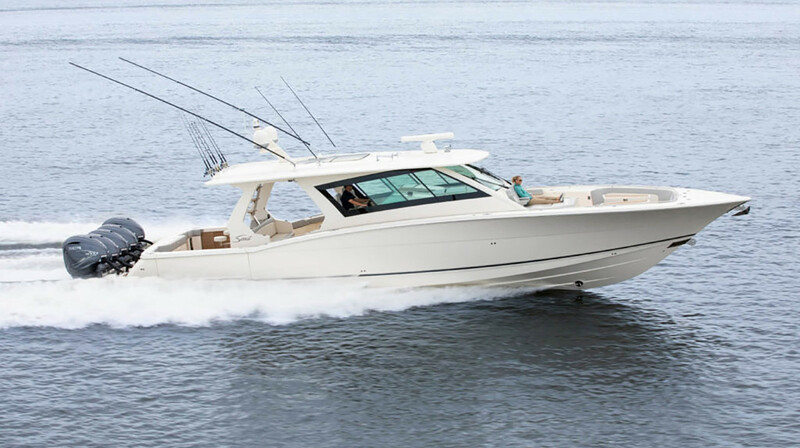 The 530 LXF is heavy on luxury, but this boat also can fish. 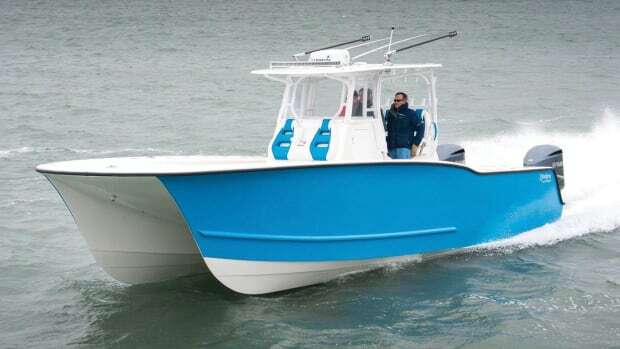 It has two massive live wells, plenty of rod storage, outriggers and an array of fishing and navigation electronics. 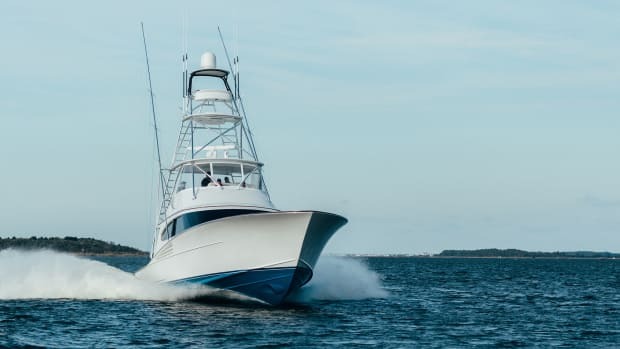 Lang says Scout will build one 530 LXF a month once production is in full swing; there already are eight boats on order. 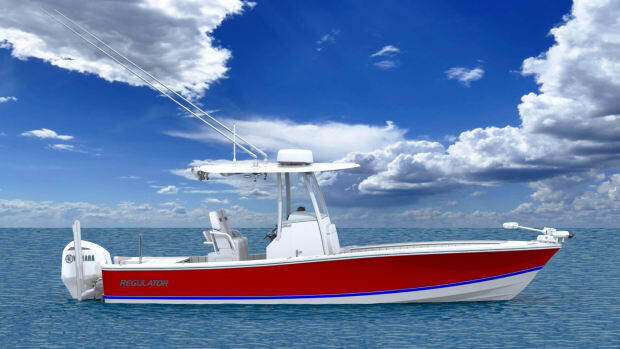 The official introduction is scheduled for the Miami International Boat Show,which runs Feb. 14-18.